CU Denver’s Bianco named Timmerhaus Teaching Ambassador – SEHD Impact! An associate professor at the University of Colorado Denver who works to pave the way for students of color to become future teachers has been named the University of Colorado’s Timmerhaus Teaching Ambassador. Margarita Bianco, Ed.D., teaches undergraduate and graduate courses in special education, educational psychology and urban community teacher education at CU Denver’s School of Education and Human Development. During the two-year appointment, CU’s Timmerhaus Teaching Ambassador serves as an advocate for K-12 and higher education, for scholarly approaches to teaching and learning, and for establishing environments that promote access and success from all sectors of the diverse population in Colorado and beyond. The ambassador leads presentations and workshops about education and learning to audiences including state lawmakers, the CU Board of Regents, educators, the media and the general public. Bianco joined the CU Denver faculty in 2006. She previously served as an adjunct professor at CU Boulder and worked for more than 20 years as a K-12 classroom teacher in public and private schools in the U.S. and overseas. She is the founder and executive director of Pathways2Teaching, an innovative pre-collegiate program that encourages high school students of color to enter the teacher workforce as a way of addressing educational inequity. “I am the first person in my family to graduate from high school and go to college,” Bianco said. “It is because of professors like Dr. Timmerhaus who demonstrated unwavering dedication to their students that I am where I am in my own career trajectory – and why I share the same passion for teaching, the teaching profession and dedication to my students. The Timmerhaus Teaching Ambassador award honors the memory of professor Klaus Timmerhaus, a member of the faculty of chemical and biological engineering at CU Boulder from 1953 until his retirement in 1995. Timmerhaus received many honors, including being named to the National Academy of Engineering and being selected to the first group of President’s Teaching Scholars at the university. 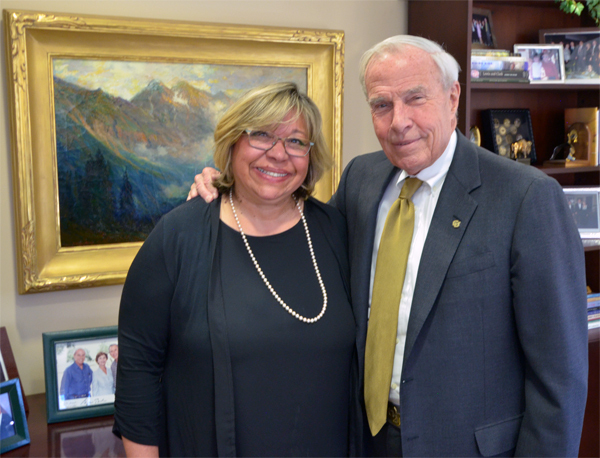 An active and enthusiastic advocate of teaching, Timmerhaus provided a bequest to support designated faculty members in promoting discussion of education throughout Colorado. Faculty from across the four-campus CU system are eligible to be honored with the ambassadorship, which includes a $25,000 award per year for up to two years. 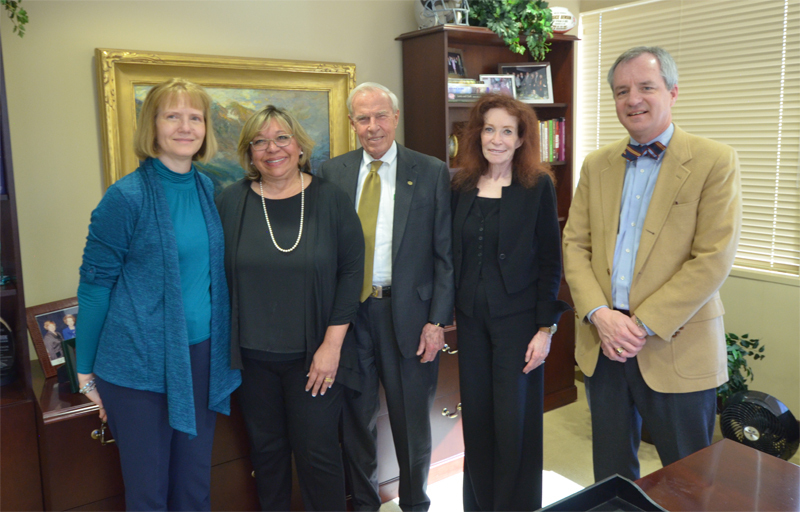 Bianco steps into the role served the past two years by CU Boulder’s Noah Finkelstein, Ph.D.
From left, Carol Getty, daughter of Klaus Timmerhaus; Margarita Bianco, Timmerhaus Teaching Ambassador; CU President Bruce Benson; Mary Ann Shea, director, President’s Teaching Scholars Program; and Steven Medema, Distinguished Professor, CU Denver. Getty and Medema are members of the Timmerhaus Teaching Ambassador Award Selection Committee. 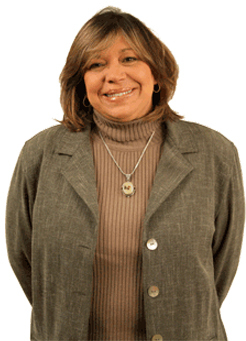 Bianco received the CU Denver campuswide Excellence in Teaching Award in 2012. Among her many other honors are the Floyd G. Hudson Outstanding Service Award, Council for Learning Disabilities, 2015; the Colorado Council for Learning Disabilities Professional of the Year, 2015; the School of Education and Human Development Excellence in Teaching Award, 2012; and the CU faculty recipient of the Rosa Parks Diversity Award, 2011.